Erected by John Gunn in loving memory of his dear sister. 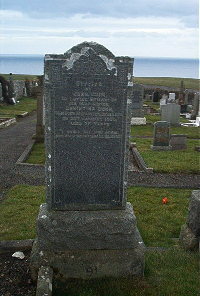 Christina Gunn died at Houdtry Dunbeath 20th January 1935 aged 75. I shall see you again and your heart shall rejoice.